Having the very best website one can afford as an artist is by no means a luxury but an absolute necessity. If you want to be the master of your own destiny and live the freedom and independence a true artist cherishes and stands for, you must get used to seeing yourself as an enterprise that needs to brand itself and control its online presence, direction and reputation – and this despite your participation in group exhibitions, despite your contracts with galleries, and despite showing your art on multiple online art malls. Chances are that if you don’t do it, someone else will – and you may not like it. I’ll explain in a moment… The fact, however, is that the only way to avoid this is to take responsibility for yourself and direct the way you want to be seen and understood in the virtual world – meaning by other people, your fans, galleries and your potential buyers. It’s a matter of taking care of yourself and your own name. If you are an artist and you want to sell your paintings, sculptures, music or other artwork – ask yourself: who do you want to attract? Think about it: art collectors and buyers of art are usually pretty educated and informed as far as the art market is concerned. And they have money or know where to get it – otherwise they wouldn’t invest in Art. If you are a sculptor and you want to sell for instance a bronze animal sculpture – which comes with a certain price tag because the casting process itself is pretty costly already – you cannot afford to look cheap. Always visualize the message you’re sending out: does your image match your market? If not, you may well lose visitors and potential buyers because they expected something more sophisticated than that. Forget ‘free’ on the Internet; cheap is too expensive! Conclusion: If you want to brand yourself as an artist you need a website that reflects the standard of your artwork. While artists are keen on having as many people as possible visit their Art Exhibition in a gallery, they may not be familiar with search engine traffic (SEO) in the virtual world – but it’s essentially the same. We agree that a gallery needs a good location – meaning a place that is easily accessible, where there is safe parking close-by, or that is well positioned in an elegant shopping mall. And it has to have a good reach via its mailing list – meaning a list of people like collectors, journalists, critics, celebrities etc, who know and trust them in terms of the type of art they represent. Well, the same applies for a good website: it needs to be easily found on Google, because Google is where people look for what they want to buy – one can easily regard it as the biggest shopping mall in the world. And if you are as most people are, you want to quickly and easily find what you’re looking for on page one on Google. . . you’d rarely take the time to look further – especially, if you find what you’re looking for. Your answers have to be on page one. Here and now! Pronto! This is exactly where your oeuvre must be! 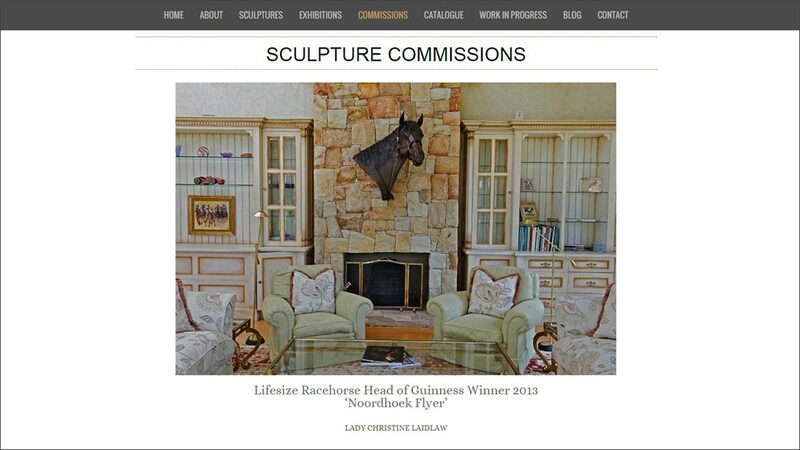 Imagine… you’re a sculptor as in this website we just completed for Richard J. Gunston. You’ve created a stunning sculpture in clay, and now you want to attract a buyer who’s looking for exactly that item, meaning that’s what he searches in Google. So he types “Leopard Hunting Guinea Fowls”. 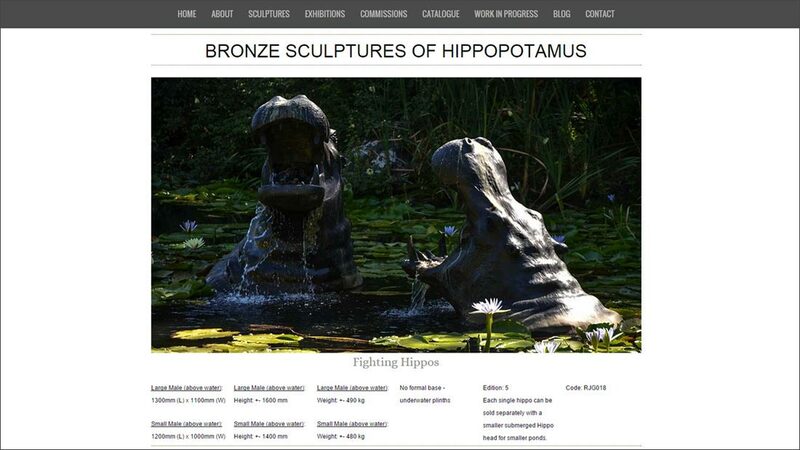 What you have to do is ensure that the article with your sculpture comes up on Google page one! How? Through original quality content in form of posts, articles with pictures, or a video you loaded on YouTube. Exactly this topic – meaning that same keyword string. The bad news is: there are only 10 spots for such articles per page – the rest are paid Google Ads: top, right side and bottom. Meaning they cost you. Actually, they can cost you an arm and a leg. So yes – there’s a continuous race for those 10 hot spots. Companies pay literally thousands of U$ per month – yes, per month – to reach those positions in their niches and leave their competition behind. Think about it: if you sell 10 times more cars or shoes or books per month simply by being found – is it worth the price? Is it? It sure is! The fact is, everyone wants to be found… and most have something to sell – be it a product, a service or an ad – so you’re in fierce company… and it’s fun! Second – and this is important and helps you understand that it’s not enough to have your website designed and then think ‘…that’s it for the next five years!‘ No, no. Besides the fact that a website has to be updated following latest technologies – normally every 2 to 3 years – a website has to be kept dynamic and alive by a blog on which good original content is regularly posted. Content in this case means articles and media (photos, audios, videos) about your work, exhibitions, concerts – whatever it may be. 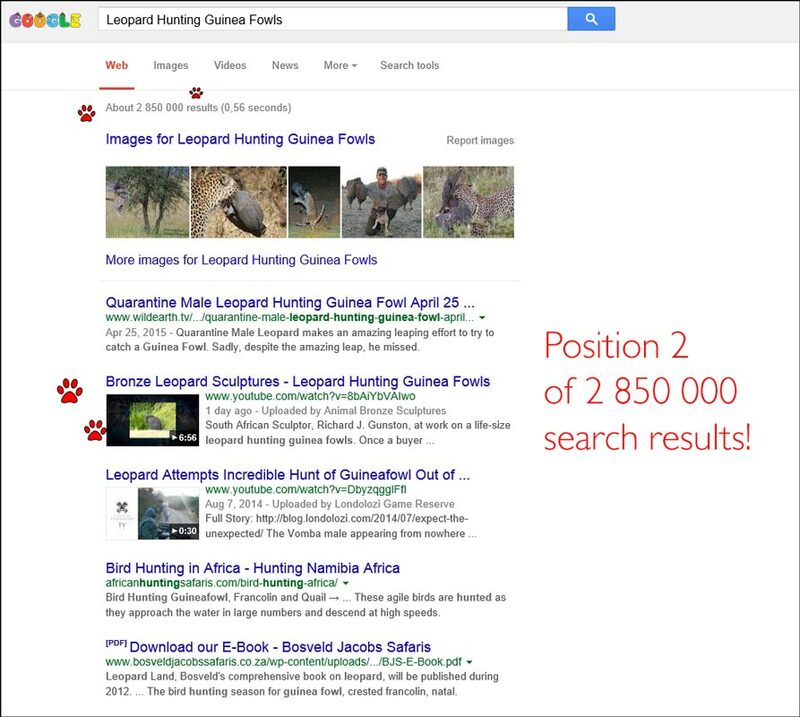 The big search engines like Google love fresh content and will help your website to come up through the ranks and move towards the real hot spot where you want your article to be found, namely where people would search for it on Google: Google Top 10. Frankly, would you go any further if you were looking for something? Probably not! Your successful competition probably not only runs a professional website but also places Google Ads. They might not have started out doing both as they may not have had the funds. But if you’re serious about your career as an artist and you want to keep control, then investing in having your own domain name, good hosting and a professionally designed website will pay off big time. It’s a process… it’s work… and it’s not happening overnight. However, not only are you building your own brand, name and reputation on the web – instead that of anyone else who invites you to host your content on their site (remember: it’s content that brings you up in Google.. so you want it to be your’s) – but by means of your Newletter you also build your own list of interested parties and potential customers who like your work, want to be invited to your exhibitions, and are interested in your development. THIS is your online business – take care of it in the very best way. What does an Artist need for a professional online presence? Buy your own domain name. Preferably a .com. Get a professional web designer to design your website based on your keywords and needs. If you’ve got no time to write your own articles and learn how to edit and publish them in a Google efficient way, outsource this task to someone who has the knowledge and the skill. TIP: A good web designer can help you with all of the above. 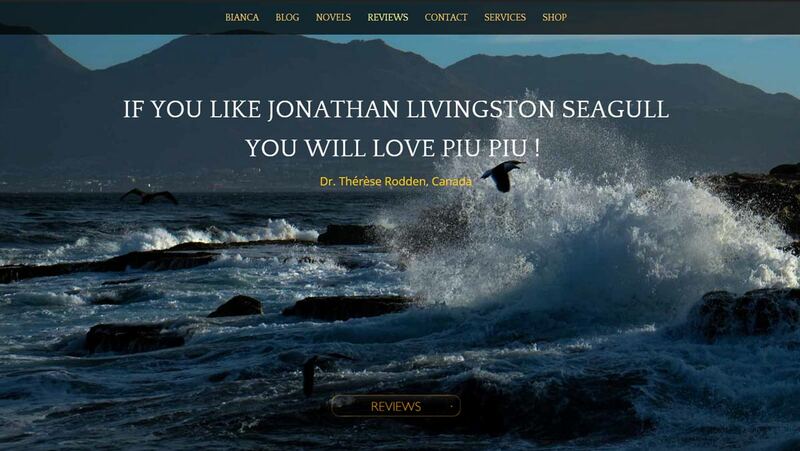 For more information read my post Web Design for Authors – CLICK HERE. If you are an artist, and you are ready to invest in a professional website created with the background knowledge of an artist – please get in touch with us. Leave a comment Posted in Web Design South Africa Tagged Artist needs a Website, Web Design for Artists, Web Design with Passion, What does an Artist need online? Does a Writer need a website? Whether or not an author, writer – or storyteller in my case – needs a website and/or a blog is not the question; any writer who wants to build a readership around a forthcoming book, a community that operates independently from social networks, and who definitely intends to be in control of his or her own online presence, does. Why? Because – whether you have a publishing contract with a major publisher in your pocket, or you courageously take it all into your own hands by self-publishing your book – all authors have to promote and sell their books. Continuously so. If they want to sell and keep selling, that is. And for that there is simply no better nor bigger marketing platform than the Internet! Think Amazon… so yes, website design for authors – established and new – is a must. Now that we have established that every author should have a blog to start building his/her name, brand and reputation on the worldwide web, the question is: what’s really needed and what does it cost? 1. If you haven’t done so yet, buy your domain name. Brand your name as an author – rather than the title of your book. Unless it’s a whole series – then I’d buy both names as a matter of protecting my brand. Your first choice is yourname.com. If the .com is already taken, try .net or .org. The cost for brand-new domains ranges between U$ 10 and U$ 15 a year. Make sure that the WHOIS information is in your name. 2. Get good web hosting. This can start with a few dollars per month to typically U$30,00 p/m on a shared server, and from a minimum of U$100 per month and well beyond on a dedicated server. Imagine what social networks spend! Know this: the performance of your website will be as good as your hosting – so do take this seriously. Yes, you can start out with a free WordPress Blog, but you are limited to witing your posts. This may be just what you want, however, once you want to get serious with it, you’ll see: everything has a price. Normal. 3. Now the website! As I said above, you can start with a free WordPress Blog, however, if you want your own website, there will be design and development costs depending on your needs, ideas, and budget. Costs do vary as it all depends on the complexity and scope of the work required. The clearer your vision and preparation, the better and faster your website designer can translate this into a clear propsoal. Once you’re happy with it and all questions are cleared, the process will be delightful, transparent and exciting for you to see! Costwise, and based on custom themes, be prepared to be paying anything from U$600 to U$3,000 in a normal case. Yes, you could go much further… but let’s stay on the ground. Please note that keywords, titles, category names, text and media are typically the author’s or client’s part of the deal. If the web designer has to provide photos (perhaps from professional sources, eg. Photostock), graphics, videos etc – all this has a price and will have to be included in the calculation. Hence the importance of a clearly defined proposal that both sides discuss and sign. The web designer normally starts his work once 50% of the total has been paid because he has software and license agreements to pay, meaning he has to cover expenses. The balance is due on completion of the website and indexing on Google. Please note that a website is not forever. As both technology and trends change, you want it to adapt, too. Consider the normal lifetime to be 3 to 4 years – it’s your personal platform to write, to post regular good content, and connect with your growing readership. This is what keeps your website alive and dynamic. And it brings you flowers from Google. Now that we have a basic idea of what it needs, the real big question is: who are you as an author? 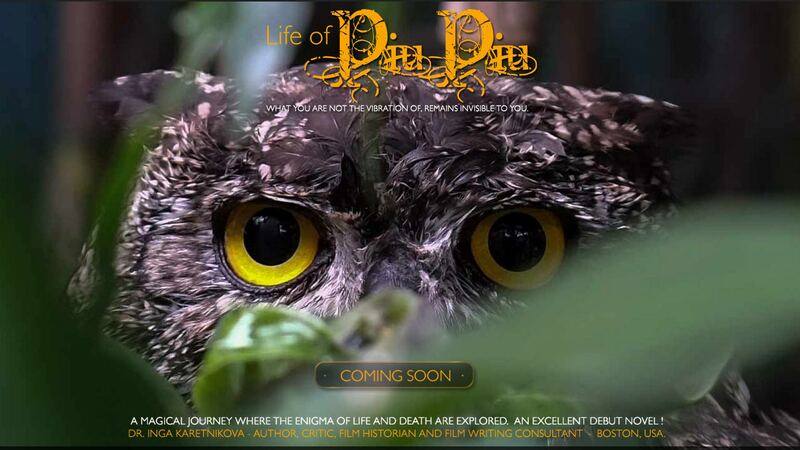 Are you a non-fiction author? If you write non-fiction books, you already have the perfect mental map for the setup of a blog: your chapters become categories. You have keyword efficient titles, headlines and sub-titles – everything is already at your fingertips! Well, it should be! In fact, you could first write your blog and then turn that into a book or ebook… it’s that clear. Now, you may be a successful author with an established platform… or you are a beginner and you wonder whether you should or shouldn’t get a website and blog? Well, don’t wonder, don’t procrastinate – just get it! There’s no better way to market yourself and your book – you’ll find that out soon enough! Are you a fiction author? Are you? Here the ball game changes; the real big difference is whether you’re already an established published fiction author with hordes of raving fans spreading the word and waiting for your next book… in other words: a celebrity – or you’re Mr. Nobody making your debut. Think about it: If your name is JK Rowling you can create any website you want – it will be found, read, shared and followed by sheer magnetism. Books will be bought through all sorts of outlets – online and offline. So the mission of the website is rather to promote the brand, to entertain, to excite and to inform, eg. of new book releases, movies, talks etc. In this case, would the website still be needed? Oh yes! Absolutely so (remember, the Internet is the biggest meeting and marketing place in the world…) – but its mission and purpose have a different penchant. So what do you do as an unknown first-time author… a debut novellist? From my research I’ve noted that many debut novelists write about what they do – the process of writing. Ask yourself: who does this attract? Let me explain. Life of Piu Piu. I’ve just written my first magical realism novel where the enigma of life and death are explored, set in 2000 – 2011 in Noordhoek, South Africa. Who would my desired audience logically be? 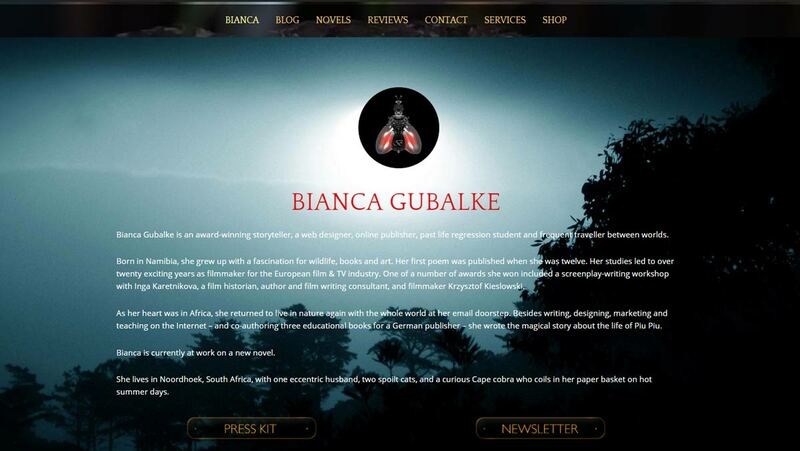 Other writers (who would be attracted to articles about my writing process…) or would it be magical realism afficinados, readers who are fascinated by South Africa, people who have to come to terms with their own mortality, or people who love that time period? Do you get the idea? If you have no celebrity status, let your story come to life on the pages of your author website and blog. Create a mood, a feeling, an emotion. Bring your characters alive. Write about your topic… After all, you wrote a minimum of 80,000 words about it – and this is probably the condensed form and you surely spent days, months, if not years on reserch. Or you just remember it all because you lived through it yourself. I think there’s enough to write about in your articles… creating suspense without giving the secrets away! Believe in your story and write. . . that’s what you love doing. Write about what you know so well… what you love… what you’re passionate about. That’s what people connect with – that’s how you sell without selling. One by one, your readers will come and join your Newsletter or Mailing list. They’ll want to be informed as to when your book is published and available… They may want to read an extract. They’ll become part of your story, your journey, your laughter and tears… You want to give them a bit of yourself; they’ll want to take it all, one day, when they buy your book. If you like this approach and you need an Author Website yourself, I can help you – and I’d love to do so. Please connect with me HERE.